Welcome to our range of Fox Pest Control Products and Supplies that can be seen below this short write up. If you prefer to order by telephone, please give us a call on 03330 119703 UK. We supply the best and most effective DIY Fox control products available to buy online for delivery throughout the UK, France, Italy, Spain, other parts of Europe and the rest of the World. The last documented estimated number of urban foxes in the UK was 150.000. Foxes have learnt to adapt to our sprawling urbanised areas and find our gardens to be quite a good place to find food and water. Many people feed urban foxes and their cubs, or these mammals may be attracted to the food left out for cats or dogs. There may be a water source such as a pond or water feature which offers foxes a way of drinking to keep themselves hydrated. Some people do not mind foxes living in their gardens but some people find foxes to be a problem and look for ways to stop these animals from coming into their outdoor space. Foxes are protected under several wildlife laws but our products fall within the law. We supply Fox Repelling and Deterring Granules as well as mains electric or battery operated Ultrasonic Fox Repellers which will deter foxes from coming into your outside space. 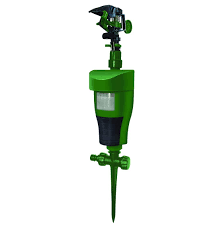 We also stock a Water Jet Spray Repeller to scare off foxes with regulated blasts of water or if you want to protect your fences and walls to stop foxes gaining entry, we are stockists of Prikka Strip deterrent cones. 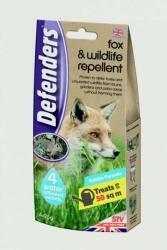 Our products have been chosen for being the best and most effective to eradicate foxes. These pest control products humanely repel, deter, stop and get rid of nuisance foxes. 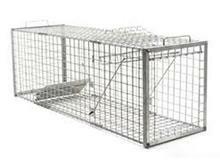 Please note that if you would like to catch an urban fox to take to a Sanctuary such as The Fox Project www.foxproject.org.uk then we supply an excellent, live catch Fox Cage Trap. The Fox Project is based in the South East of England but they can advise you were to take foxes in your local area, just call 01892 731565. Fox Repelling and Deterring Granules contain aluminium ammonia sulphate. 1 x pack of these scatter granules will treat an area of up to 50 square metres to stop foxes being a nuisance in the garden. Ultrasonic Fox, Dog and Cat Repeller will repel, deter, stop and eradicate foxes from the garden. Can be run on battery power or mains electric power. Humane method of fox control. Universal Power Adaptor for the Fox, Dog and Cat Repeller allows the unit to be run on mains electric instead of on battery power. Comes with a 5 metre cable. Ultrasonic Mains Electric Powered Fox Scarer comes with a 10 metre electrical cable. 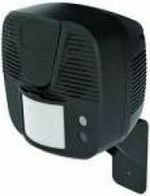 This device works on a pir motion activated system. Humane method of fox pest control. Solar Panel to Power the Mains Electric Fox Scarer. Saves on the cost of electricity. This solar panel plugs directly into the Mains Electric Fox Scarer and allows the unit to run on free energy from the sun. 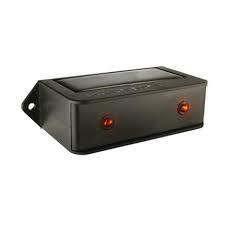 Ultrasonic Battery Powered Fox Scarer to repel and deter nuisance foxes. Night Red Eyes Fox Scarer - Solar Powered. Water Jet Spray Fox Scarer works on a pir - passive infra red - motion sensory detector system that can sense when an urban fox comes into its range. Covers 10metres / 30 feet in front of the unit, in an arc of 120 degrees. Prikka Strip Fox Deterrent Cones - 1 Metre in 2 x 500mm strips. These strips of plastic spikes can be attached to the tops of wall and fences to prevent foxes entering the garden or outdoor space. Prikka Strip Fox Deterrent Cones - 5 Metres. 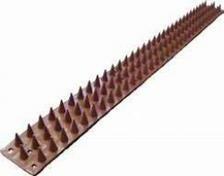 Each strip of these plastic spikes are scored lengthways to make it easy to fit and stick around awkward or uneven surfaces. Also there are screw holes in case you want to screw fix the strips into place. 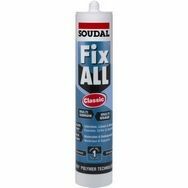 Fix All Adhesive sticks Prikka Strip Fox Deterrent Cones onto walls and fences etc. 1 x tube will fix 8 metres of these plastic spikes for stopping and deterring foxes. .